Bosch has a thing for jazz, and every episode points the way to something I don’t know. Even if I know it, I don’t necessarily ‘know’ it, know it. For instance, do you know Miles Davis? 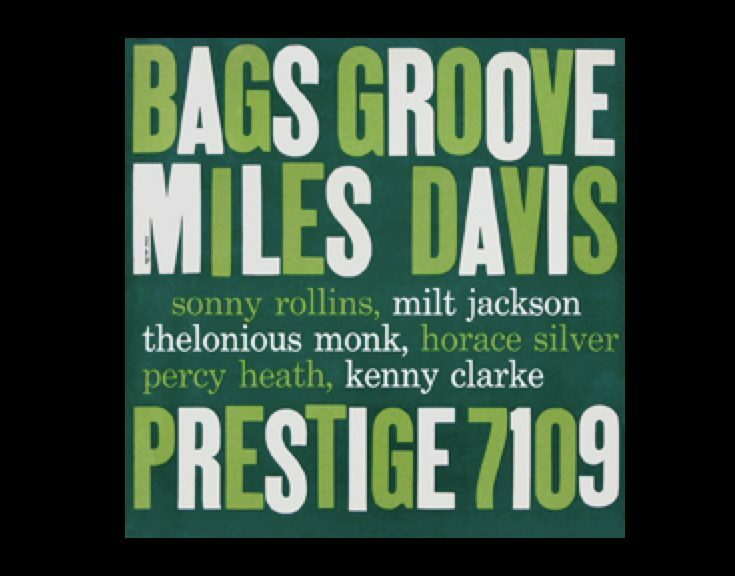 So you know Sonny Rollins and Milt Jackson?? ... Uhm... I think so...? Now I do. Thanks Messrs. Connelly and Overmyer. This came up on my random Zune mix this morning, and always is a treat. Movie was pretty good, too. 1 and 9 are definitely on, as is at least one song from boygenius (not necessarily one of these two though. Buzzfeed Quiz. Which Indie Band are you. I did get Guided By Voices. No lie! Sleater Kinney. And the description that went with it seemed accurate enough. I would have never guessed that one! I popped on Call the Doctor while wondering around Portland weekend before last. Not sure the full lineup in this quiz, but I would've guessed I'd end up here. I'm something called "My Bloody Valentine." Do you gaze at your shoes while droning on at 150 dB? dido, though i've never really listened to them. I got something called Belle and Sebastian. I haven't heard Weezer cover them, so no idea. Not surprisingly, I got B(and)S.
Flaming Lips. Works for me. free - Guided By Voices for me too. At the risk of severe damage to our friendship, I must admit that I don’t own any GBV albums and would have a hard time picking them out of an audio-sample lineup. Whoever is selecting music for Bosch’s character (I’ve not read the novels, so perhaps they’re lifting directly from the Ur-text) does fantastic work. It’s one of my favorite parts of the show, which I think is pretty darn good itself.